What do you think when you hear that the failure rate of ICT4D projects by the World Bank is about 70%? Is it higher or lower than you expected? This week, each of us, ICTs for BOP bloggers explores what we can learn from the failures of past projects. As other writers such as Anna discusses the lessons learned for a specific case, in this post, I would like to more broadly discuss how various audiences interpret the lessons learned differently. Let’s find out what the percentage I cited above means to you. The Hindu’s post, titled “World Bank’s targeted ICT interventions were limited: evaluator” reports the World Bank and it’s internal Independent Evaluation Group (IEG) released an Evaluation of World Bank Group Activities in Information and Communication Technologies, which is a review of a total $4.2 billion in World Bank committed to the ICT section during fiscal years2003 and 2010, of which about $2.9 billion was for supporting ICT sectors in “the poorest” countries. The four main domains of the World Bank ICT4D projects are: 1) ICT sector reform, 2) increased access to information infrastructure, 3) ICT skills development, 4) ICT applications. The Hindu views it as a key finding that “limited in targeted efforts to increase access to the underserved beyond what was commercially attractive” with the result only 30 per cent of the projects targeting underserved groups succeeded and approximately 70 per cent of them failed. Through the interview with The Hindu, Laurent Besancon, Coordinator for the New ICT Strategy of the World Bank, stated that the bank’s future focus would be on policy reform to boost broadband potential in developing countries; and also on helping operators finance the “public good” aspect of infrastructure, such as setting up telecom towers in remote rural areas. Congratulations to the World Bank!? In relation to our initial question, The Hindi finds most of the results of the World Bank –related ICT for Development (ICT4D) projects during 2003-10, as somewhat “limited”. Many of you may support this view. For example, in his blog “ICTs for development”, Professor Heeks, who is one of the most engaging scholars in this field, stated the five broad reasons for why many ICT4D projects fail. Failure to involve beneficiaries and users: those who can ensure that project designs are well-matched to local realities. Rigidity in project delivery: following a pre-planned approach such as that mandated by methods like Structured Systems Analysis and Design Methodology, or narrow use of Log Frames. Failure to learn: not incorporating lessons from experiences that arises either before or during the ICT4D project. Ignoring local institutional capacities: not making use of good local institutions where they already exist or not strengthening those which could form a viable support base. Ineffective project leadership: that is unable to direct and control the ICT4D project. However, there are other ways to interpret the same result. ICT works post provides interesting insights in this regard. It states that instead of asking why the past projects did such a bad job or calling for reduction of ICT investment, we should evaluate more about the transparency and risky practices of the World Bank. Furthermore, ICT works regards the number of 30% success rate for increasing access to the underserved as positively, compared with the “the 20% success rate of Silicon Valley start-ups who are coddled by the most business-conducive environment in the world”. Of course, it should not be easily compared with the situation of the World Bank’s ICT4D projects (relatively non-profit oriented) and Silicon Valley venture businesses (for- profit oriented). 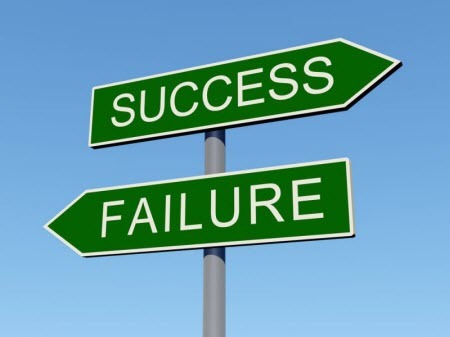 However, when we think about what is “failure ” or “Success”, especially in quantifiable terms, we have to be fully aware of evaluator’s lens as well as our own. Moreover, considering ICT4D is a relatively new field, it is most critical to share the failures with others. This transparency must replace a tendency to cover-up or hide failure, and must of course be accompanied by avoiding making mistakes (this is also very important!) in order to improve outcomes forICT4D in future projects. Some scholars and practitioners have already started an initiative to share the failures or “what does not work” in ICT4D projects. This initiative coined the term “Failfaire”, which offers online space to exchange knowledge and holds international conferences to connect people with same aspirations. Let us know how you view the results of ICT4D projects illustrated by Anna, Maria and Fatima! Alternative news sources have been following developments of the EASSy cable, damage and repairs over the last few weeks. The under-water fibre-optic cables, owned by the West Indian Ocean Cable Company (WIOCC), a conglomerate investment of 14 major telecom companies in Africa was laid in 2009. The recent damage to it has affected more than six countries in the Eastern and Southern regions of the continent. 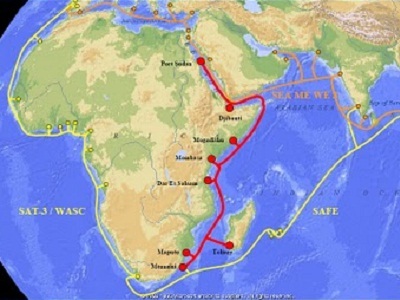 The cable connects countries along the East African coast to as far as the United Arab Emirates. In February, a ship dragging its anchor along the bottom of the ocean, off the coast of Mombasa, Kenya snagged part of the cable, causing limited internet access for users across several nations. All Things Considered, interviewed East African correspondent, Solomon Moore on 3/1/2012 sharing some of these developments with a broader audience. Moore explained that while Africa is less “wired” than other regions of the world, as new businesses sprout up, episodes like these cause an unfortunate delay and inconvenience. How is Education wired in? While much of the media following the fibre optic cable damage has focused on the burden to commerce and business, a sector becoming more and more reliant on tele-communications has been left out of the headlines. 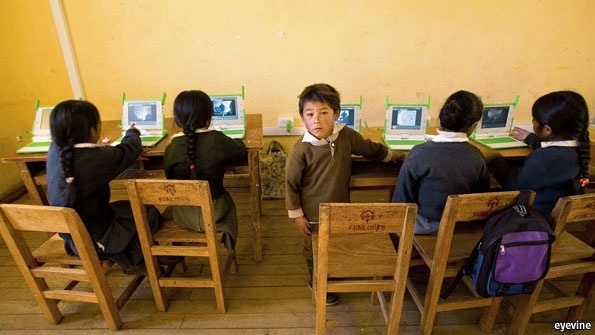 Schools around the world are increasing the use of internet and technologies for learning. While ICTs play an important role in enhancing our experience of work, school, and communication, as we become more dependent on them, if damaged, it will have more detrimental, deeply felt affect. It is important for investors and educators alike to be strategic in finding sustainable ways to use ICTs in schools, particularly in countries with inconsistent infrastructure, or governance in place. Samsung Africa launched a pilot program last year in South Africa, with the goal of setting up solar powered computer schools. BizTechAfrica.com covered the project, and quoted a Samsung business leader in East Africa who spoke of plans to replicate the project in other places, Kenya being the next targeted country. The fact that these computer labs are powered by solar shows foresight by investors and designers, to not only consider more environmentally friendly ways of using technology in the classroom, but to be cognizant of the reality that electricity remains unreliable and inconsistent for much of this region. While the damaged under-water EASSy cable certainly does not signify failure of ICTs in business or education, it presents a challenge to create more sustainable access to broadband, in addition to hardware and electricity. What can countries do to limit cable damage? Is stronger sea commerce regulation needed? Is the damage an expected risk for the fibre-optic cable industry? If so, what quality control, or quicker response operations could be instituted so users are not inconvenienced for such long periods of repair? Foresight and design become more crucial as ICTs and internet play more integral roles in classrooms, businesses and homes. Telecenters are places where people can access computers, the Internet or other digital technologies. They are one of the major tools espoused by development workers and NGOs to provide information and education to rural and poorer areas. However for a variety of reasons Telecenters have not been sustainable without external funding. Most are short-lived enterprises that fail to forge long-term ties or participatory relationships with their local communities. 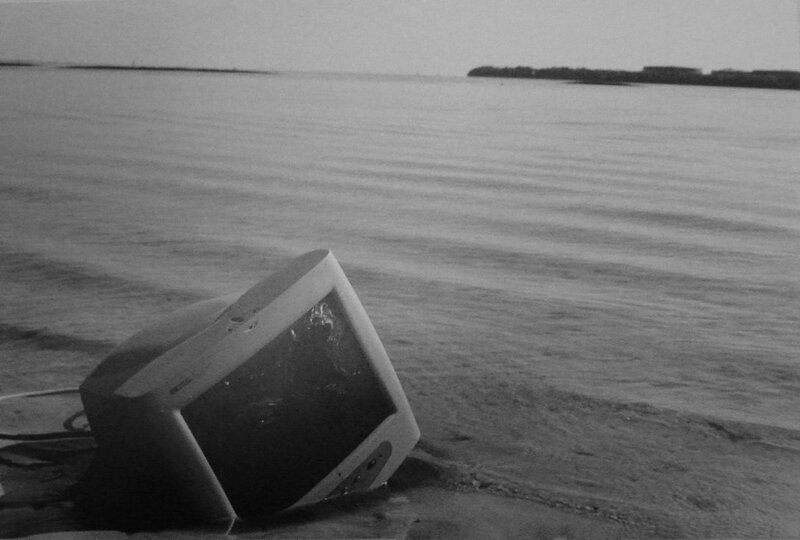 This post will present the arguments made by “Telecenters are not “Sustainable”: Get Over it!” by Mike Gurstein and place it in the wider debates about ICT failures in educational development to analyze the reasons and assumptions behind those failures and why they should be used as lessons. For Gurenstein, Telecenters are setup to serve and add value to disadvantaged communities by providing easy Internet access to those who lack capital to compete in the open market. Therefore it is “deeply hypocritical” of the funders to ask them to be sustainable and, more so, if run along market logic (i.e. self-sustaining profit), the centers will never serve their intended purpose. However Gurenstein also admits that individual Telecenters are also at fault. They usually have poor knowledge of the practices and long-term needs of the local community. He concludes that the Telecenters’ must be “embedded (“owned”) by local communities” to aid education. The Gurenstein article is a good example of the debate going on between development practitioners over the effectiveness of ICT to solve problems of development. More and more development practitioners are pointing out that ICT4D&E projects need to be grown out of local needs and keep the long–term practical usefulness of projects in mind. Otherwise they risk being unsustainable and sometimes wastefully expensive. Kentaro Toyama echoes Gurenstien in his arguments: Modern technology can enhance learning in the classroom, but must be utilized only once the more exigent needs of improving teaching capacities and stronger administrations have been fulfilled. The failures of Telecenters in so many rural areas and their fundamental lack of sustainability is simply one result of what Toyama has explained as the myth of scale. This refers to the popular argument that simply bringing the Internet to poor areas will transform them or throwing enough money at a problem will solve it. Such proponents often ignore the basic fact that technology is a multiplier of human intent and capacity, it is not a substitute. ICTs for education therefore must primarily focus on the needs of the local community. Otherwise it may do more harm than benefit the ones in need. Lack of proper guidance on how to use telecenters to learn about health, business, ICT usage and so on thus resulted in their misuse. It is important to realize that the failures of ICT4D&E projects can often be instructive and a springboard to “spur innovation.” Recent initiatives, such as FAILfaire organized and run by MobileActive highlight failures of ICTs and assumptions behind bad projects to get insights into the reasons of failures and develop new successful ones. Additionally, websites such as “ICTs in Education: some ‘Reality Videos’” and videos such as “Top 7 Reasons Why Most ICT4D Projects Fail”, have become more common and foreground the fact that ICT is not the surefire solution to the complex problems of education or development. Even mainstream platforms such as the New York Times have highlighted that mistakes are rarely discussed in organizations such as the World Bank. The World Bank has a 70% failure rate with their ICT4D projects on increasing universal access to education (for more on World Bank’s failure turn to Naoko’s article). This kind of prohibition on the part of large organizations often closes off avenues of learning from failure and limits innovation. One can ask if students can learn by making mistakes and from teachers’ feedback, why can’t the NGOs and international organizations spend some time learning from their failures? Failures of telecenters have already taught us the importance of understanding the local context and custom better to sustain any educational development project. In today’s digitally connected globalized world a culture of sharing and talking about failures can help to avoid repeating past mistakes. To this end initiatives such as FAILfaire, and conversations initiated by experts such as Mike Gurenstein and Kentaro Toyama are certainly a step in the right direction.